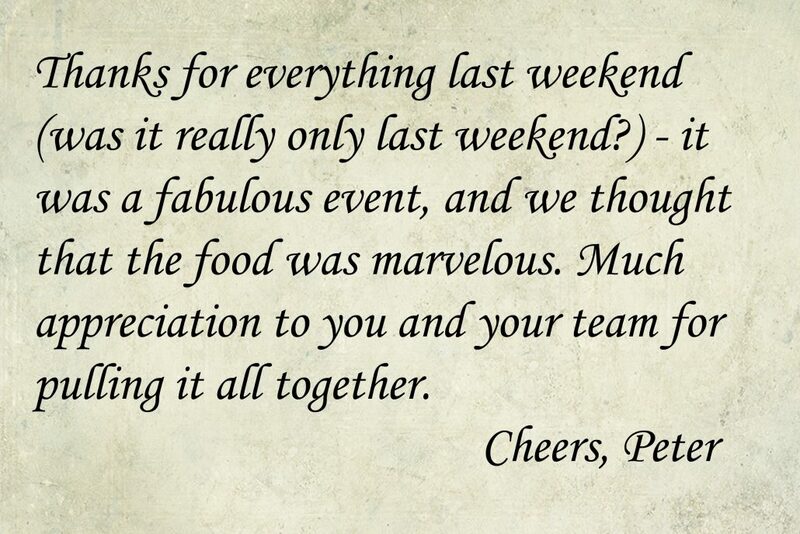 We love getting “thank you’s” from the people we cater for after an event, we never expect them but are always delighted to recieve them… today we thought we would share a few of our most recent ones. 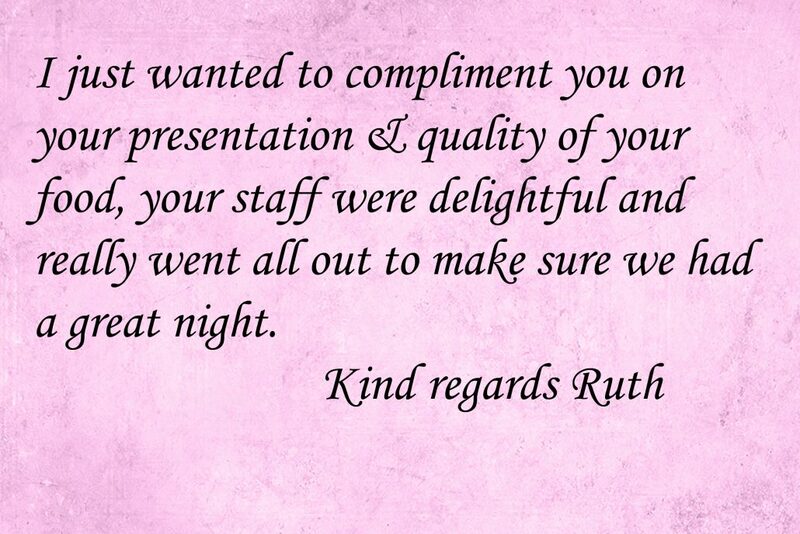 Guests are also always welcome to leave a review on our facebook page. Peter’s joint birthday party was a lovely occassion. A reminder that no matter the size of your event, we are delighted to cater for small Christenings to large family events, and we really enjoy coming along and celebrating all those key moments for years to come! 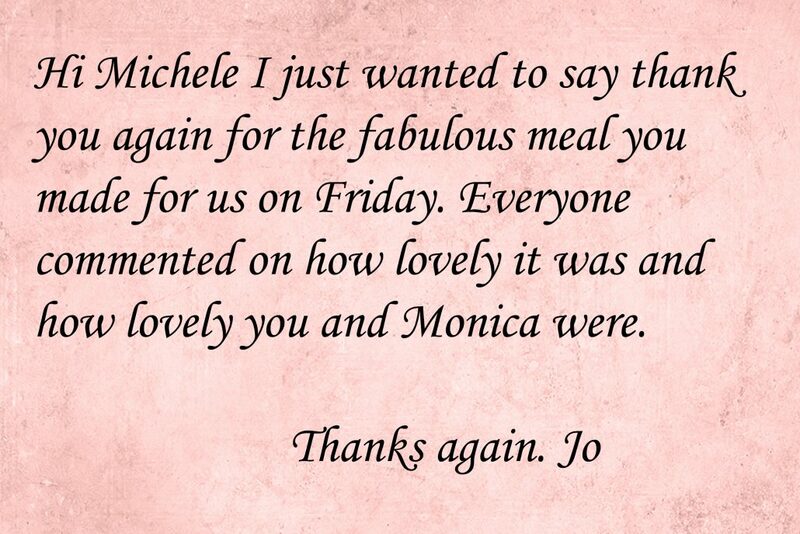 Catering for a private dinner whilst you are on holiday in the New Forest, can really help make a weekend of celebrations even more special – we were thrilled to help Ruth and her guests enjoy their special weekend. 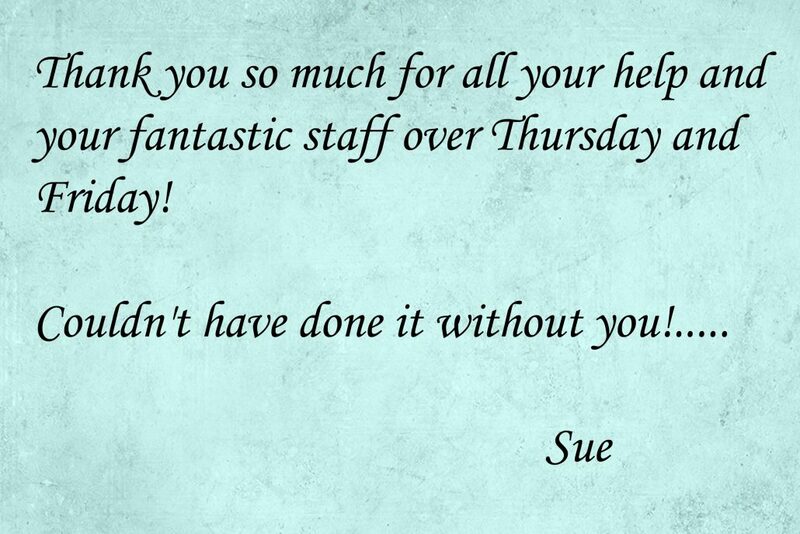 It is letter’s, cards and messages that really make it worth for our team – we love knowing we have helped create special memories for you, and we look forward to working with you all again in future!